Yokogawa Electric Corporation (TOKYO: 6841) announces the December 4 release of FAST/TOOLS® R10.03, the latest version of a web-based real-time operations management and visualization software solution that scales perfectly from a small and hybrid SCADA to an integrated enterprise operations & engineering framework, thus enabling higher levels of application portability, modularization, and standardization that will help our customers derive maximum value from their investments over the entire system lifecycle. 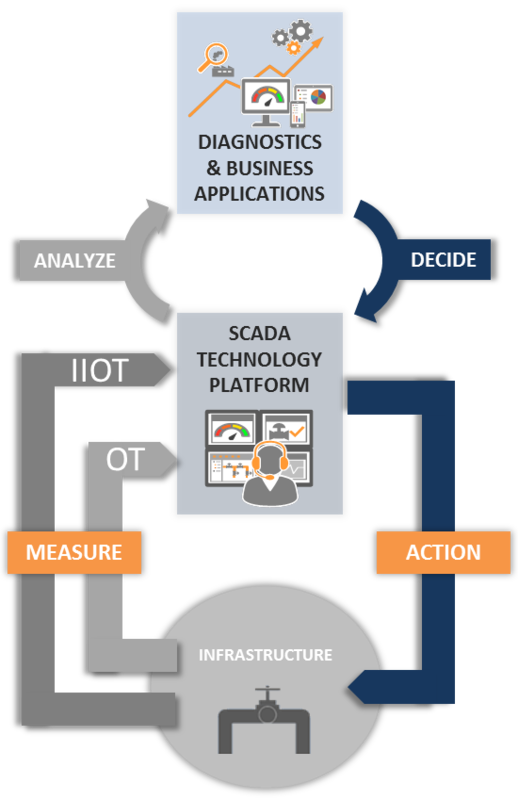 Driven by factors such as IoT, Big Data, analytics, and the cloud, a digital transformation is underway that is leading to the convergence of information, operational, and engineering technologies (IT, OT, and ET) in unmanned, remote-controlled, and other operations that go way beyond what has traditionally been possible with DCS and SCADA solutions. To benefit from near real-time transaction processing and other capabilities that already are well established in the IT domain, a growing effort is being made to achieve seamless integration and convergence with the OT domain. As production and delivery cycles shorten and require greater flexibility, the instant sharing of real-time data on operational capacity and conditions for the purpose of production/maintenance planning and forecasting become critical factors for a company's bottom line results. 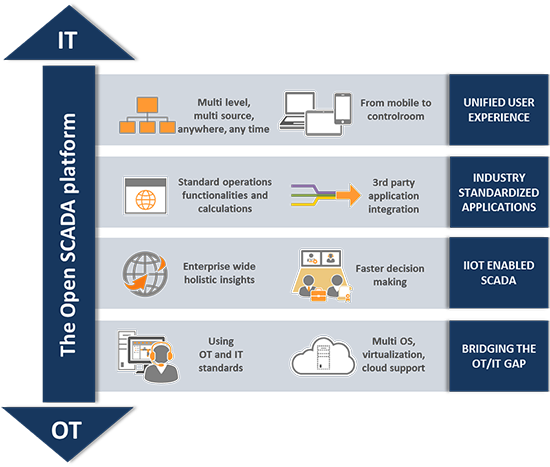 A modern open SCADA platform should be able to bridge the legacy gaps between the IT and OT domains by leveraging OPC Unified Architecture (OPC UA), extensible mark-up language (XML), and direct database interfaces. By simplifying operations, automating activities, and enhancing the user experience, CAPEX can be reduced. Recognizing that most enterprises will take a hybrid approach in their management and control solutions, Yokogawa continues to pursue innovations that will ensure its customers are able to transform their data into meaningful information and get the most out of their investments. This release includes new functions that provide greater transparency by integrating multi-tier architectures and enabling global access to and sharing of a variety of resources. FAST/TOOLS R10.03 offers significant enhancements that improve operator efficiency, data processing, application usability, security, and configuration, thus enabling customers to tailor their applications to best fit their work methodologies. It supports the digital industrial ecosystem with open information models that simplify and enhance sub-system integration and diagnostics and enable leaner & flatter architectures. This is done through (cloud-based) virtualization solutions that are managed as a single system. To help our customers implement a more effective HMI strategy we have developed a symbol library that is based on the concepts embodied in the ISA-101 standard. The ISA-101 standard is designed to promote a consistent approach in the development and implementation of effective HMIs for manufacturing applications, particularly in the process industries. Based on this standard, end users, automation suppliers, and system integrators can create more effective HMIs that lead to higher productivity and a safer operating environment. ISA-101 takes a lifecycle approach to effective HMI management and seeks to identify, define, and address the different needs that arise across this time span. Templates and object-oriented structures created using this library are key elements in these high-performance HMIs. The requirement for enterprise-wide process automation solutions is driving the need for ways to make sense of an ever increasing volume of data. For that purpose, Yokogawa has implemented an information model (tree) that allows for process hierarchies and has expanded its solutions by enabling objects in objects. This will reduce engineering costs by simplifying the use and re-use of templates and typicals. System integration is a key development strategy that provides users the best experience from an operations, engineering, and maintenance perspective. As boundaries continue to blur in the automation landscape, Yokogawa is driven to bridge environments and create the ultimate hybrid approach by emphasizing integration. 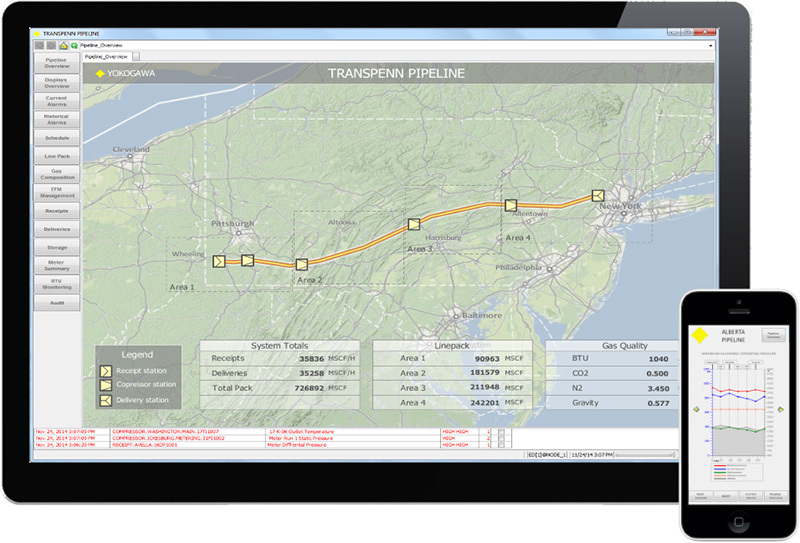 With significantly enhanced DCS integration tooling made possible through the support of additional function blocks and hierarchical naming, further support is provided for the transparent integration of Yokogawa's DCS (the CENTUM integrated production control system) at the enterprise and SCADA levels. As part of its vision to help people unlock actionable insights from data, Yokogawa has included a new table component function that converts historical data, audit trails, and other data sets to a user-friendly tabular format. This allows operators to perform quick cross-category spreadsheet queries of FAST/TOOLS data. Data transparency is improved by allowing these tables to be queried and directly reported in native graphics. In the era of the Industrial Internet of Things (IIoT), connectivity with edge devices on the plant floor and the integration of SCADA, MES, ERP, and other upper-level management systems with systems on other levels is important to securing access to valuable data and making it accessible across the entire solution. The support of the OPC UA enables the construction of simple and effective solutions for users who need to communicate with upper layer management systems. OPC UA is the latest version of the OPC standard, and it features a cohesive, secure, and reliable cross-platform framework for access to real-time and historical data and events. It retains all the functions of the "classic" OPC, including data access alarms & conditions and history access, thus helping to reduce the cost of systems integration. The OPC UA server feature allows users to leverage FAST/TOOLS' extensive library of protocol drivers to connect equipment to a secure and reliable management network. Yokogawa sets a new standard for data and system security by providing an integrated automation solution with the ability to encrypt host-to-host communications as a second level of defense, in addition to IT-based services such as native integration with Active Directory (AD) services. With a single sign-on (SSO) for HTTP requests using the Simple and Protected GSS-API Negotiation Mechanism (SPNEGO), web authentication is now supported. This is a standard user authentication method for web servers that includes support for AD SSO from browsers and applications such as MS Excel. Users can thus securely negotiate and authenticate HTTP requests for secured resources in the FAST/TOOLS host/application server by using SPNEGO as the web authentication service. SPNEGO provides a mechanism for extending the Kerberos network authentication protocol to web applications using the standard HTTP protocol. Many different types of clients, particularly those that are browser-based (e.g. HTML5, JAVA), will thus be able to connect to the same web server, even if they use technologies that may not provide direct access to AD. First released in 1978, FAST/TOOLS has evolved from centralized SCADA and HMI software to an enterprise automation environment that is used by Yokogawa's global network to facilitate supervisory control with customers' systems. This state-of-art industrial software benefits our customers through improved visualization, collaboration, decision support, configuration, communication, security, virtualization, deployment, connectivity, operational alarm management/analysis, and data storage/management. The FAST/TOOLS software suite also provides a high-performance process historian with production history archiving and retrieval, along with a web information service that dramatically simplifies the delivery of operation information. Yokogawa will keep working to improve its entire range of solutions and services, including FAST/TOOLS, with the aim of ensuring safe and highly efficient operations over the entire lifecycle of its customers' facilities. Solutions to facilitate the processes of designing, visualizing, and orchestrating plant production and business systems.